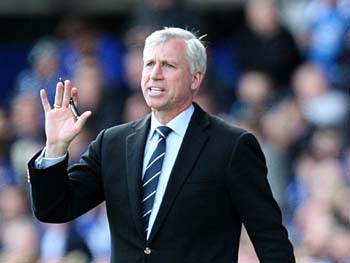 A hectic first week and one that has thrown up a win, a draw and a defeat for Newcastle United. If I’d been offered those three results then I guess I might well have chosen the same matches for them to fall in, certainly I’d have taken a home win in front of fifty thousand geordies over one at Stamford Bridge. I think we’ve got a real chance of finishing above Spurs if we put in a decent season, whereas pre-season I couldn’t help but think Chelsea would come back much stronger this time around, especially with new signings like Hazard. “We looked a little lacklustre in that first half and a bit tired in one or two areas. That gave Chelsea a little bit too much of dominance in that first half and I was disappointed with the first goal since Torres made a complete meal of the challenge. The second goal was a great goal but right before half time, so we should have prevented it really. But the second half I have to pay credit to my players. They showed real character because it’s tough to come here, and they have already won two games and we were 2-0 down. We had to show a lot of belief and if we could have nicked a goal, and we should have after 75 or 80 minutes, then the face of the game could have changed. We had no Cheick today which I think affected us and Anita had to play a full game on Thursday and a full game today, he made one or two errors in the first half which is not like him. We got beat here but we’ve had a good week really, if I’m honest. The two fixtures we’ve had in the Premier League, if we took two draws you would have been fairly happy. We’ve got a point more than that so I’m very pleased. Our fans were brilliant today, absolutely brilliant today. I thank them for their support and hopefully next Thursday we’ll give them something happier to cheer about”. If you would like to feature like Jim on our/your website, get writing, ‘The Blog’ is where we profile contributions from anybody who has something to say. Send in your opinions/hopes/fears/articles and we’ll put them up on the website for everybody to enjoy.